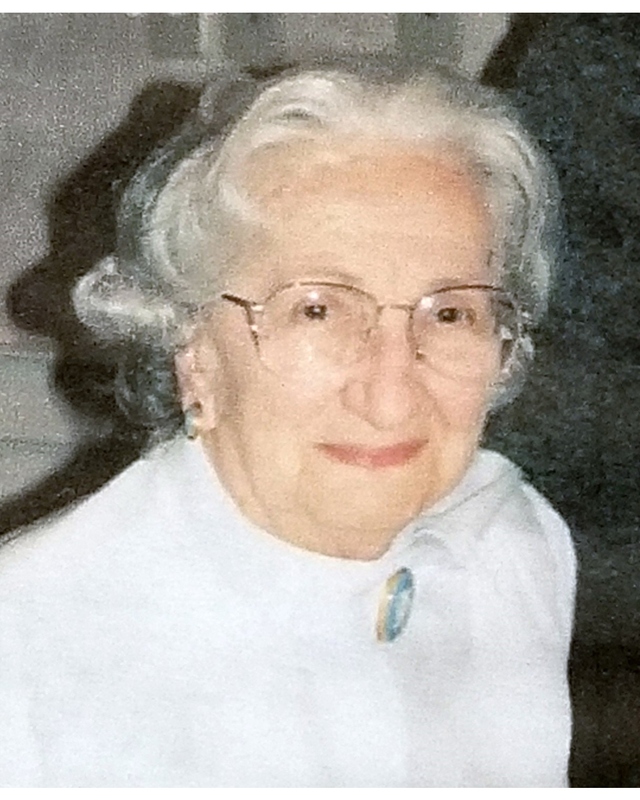 Anna C. (Szetela) Fazio, 100, of Lawrence, formerly of Methuen, passed away Wednesday, February 6, 2019 at Mary Immaculate Nursing & Restorative Center with her loving family by her side. Born in Lowell, she was the daughter of the late Thaddeus and Antonina (Vickers) Szetela. Raised and educated in Lowell, Anna lived in Methuen for the greater part of her life. She worked in the Lawrence mills, Raytheon Corporation, and retired from the Internal Revenue Service. In her spare time, she enjoyed spending time with her family, traveling, baking, knitting and crocheting. She was predeceased by her husband, Giacinto “George” Fazio; her siblings, Stanley, Stephanie "Stella", Mitchell "Mickey", and Joseph, and her daughter-in-law, Gail (Dandreta) Fazio. Anna is survived by her sons, Vincent and George Fazio, both of Methuen; grandchildren, Pamela, Tina, Lori, and Vincent; and her great-granddaughters, Mackensey, Sophia, and Gabriella. The family would like to thank the nurses and staff at Mary Immaculate Nursing & Restorative Center for their caring and support. Relatives and friends are respectfully invited to attend visiting hours Monday, February 11, 2019 from 9:00-11:00 AM at Cataudella Funeral Home, 126 Pleasant Valley St., Methuen. Funeral services will be held at 11:00 AM in the funeral home chapel. Burial will be in Immaculate Conception Cemetery, Lawrence.